Secret Wars, The Last Starfighter, Tron, Transformers, Kenner Super Powers and Watchmen - The 80's ruled. Especially if you were a guy. If you were a girl, you just had Rainbow Brite, Shee-Ra, and Cabbage Patch dolls whose main use was being snatched by us bloke folk and used as Giganta in an action figure Crisis on Infinite Earths (and maybe the odd cuddle). 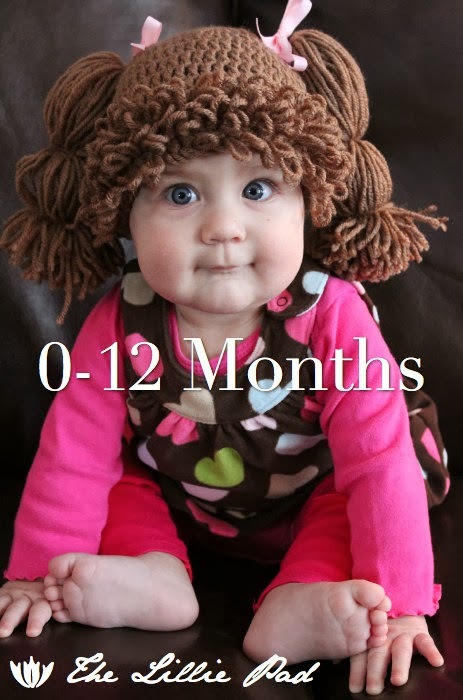 If you didn't get to hug one of the vege babies back in the day, have no fear, Etsy seller TheLillyPad has come to the rescue, with a series of wigs for your baby, son, daughter, niece, nephew or random stranger that will turn them into an 80's icon reborn. Always good for a snap to pull out at the kids 21st, for $33.80 you can get your pick of eight hair colours and nineteen ribbons, or alternatively for $6.75 you can get the pattern and knit it yourself. There's a Survivor challenge for you! No word if adults sizes are available yet. Me, I'm waiting for the 'LEGO Hair' range. wow, that's just disturbing in a child talent show kinda way. It sure is Dave, When I started this feature I wanted to show the real world was as crazy as comics. This sure proves that point! Dan, your line about the real world was as crazy as comics is just another example of how art imitates life. by the way of course i get you on the whole How to Draw the Marvel Way (saw your comment) we're both comic book fans but more importantly were also hands on artists. by the way speaking of comic art and our exchange about the Suicide Squad piece you're working on i just found the first full on Squad commission fan art in a really long time. i'll post it in the next 30 minutes or so. Ive seen inmates at the place where I work get stabbed and even die horribly from drug overdoses but NEVER have I seen anything as horrific as this...! Thanks King and Karl - looks like a shocker all round! Making your baby a doll also has a ring of Child's Play to it as well - hopefully that ain't one of the options!